With so many to choose from, which ones should you try? If you&apos;ve been out and about in Eau Claire at the Farmer&apos;s Market and other events, one thing you may have noticed is the increasing presence of food trucks. They used to be a rarity, showing up only at the occasional special event. Now they seem to be everywhere. One cant-miss food truck is the Locavore Mobile Kitchen. A staple of the Farmers Market, this unique food truck serves dishes made of the best produce and meats in the Chippewa Valley. They serve everything from broccoli cheese nachos to their signature Locaburger (beef and pork patty with onions). Locavore also offers vegetarian/vegan options, all you have to do is ask. If you&apos;re looking for a hidden gem, make sure to try their roasted carrot fries. And if you want a unique and refreshing drink, I recommend the strawberry rhubarb soda. If you like a little hip-hop theming to go with your food truck fare, then be sure to stop over at SmokeStream. On the menu: Tupaco Tacos, Snoop Dog and, my favorite, the Macklemore mac n&apos; cheese. SmokeStream offers up both unique eats and comfort food. It&apos;s quickly becoming a favorite in the Chippewa Valley. And they also have one of the food trucks with one of the most unique designs. Coffee seems pretty basic. You may wonder why you should stop by a food truck that serves it. But the EC/DC Coffee Cart serves up some of the best java in Eau Claire. 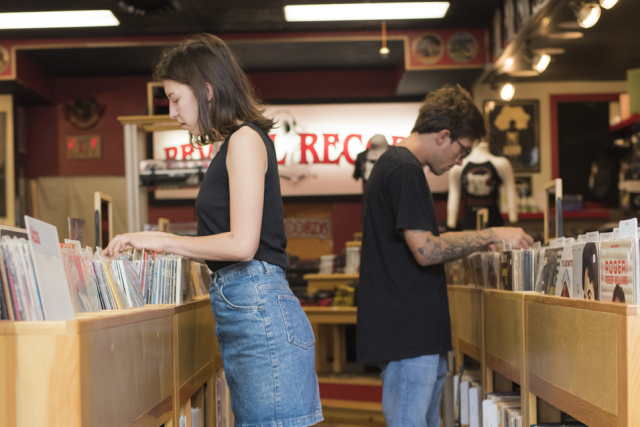 EC/DC has become one of the most popular coffee shops in the area for a good reason. Their unique hot and cold coffee offerings along with their fresh baked goods have made the place a must-visit spot when people are in Downtown Eau Claire. The EC/DC Coffee Cart takes those delicious beverages and scrumptious baked goods and makes them available all over town. Be sure to try the kombucha, specialty sodas and scones. One of the fastest growing spots for people with a sweet tooth is Ramone&apos;s Ice Cream Parlor. And you can now get a great variety of their delicious flavors on the go. Some include chocolate, vanilla, ultimate Oreo, Mackinac Island Fudge and cotton candy twist. So even if you&apos;re not near their location in Downtown Eau Claire, you can still enjoy their flavorful ice cream. There is a food truck for almost everyone in Eau Claire. 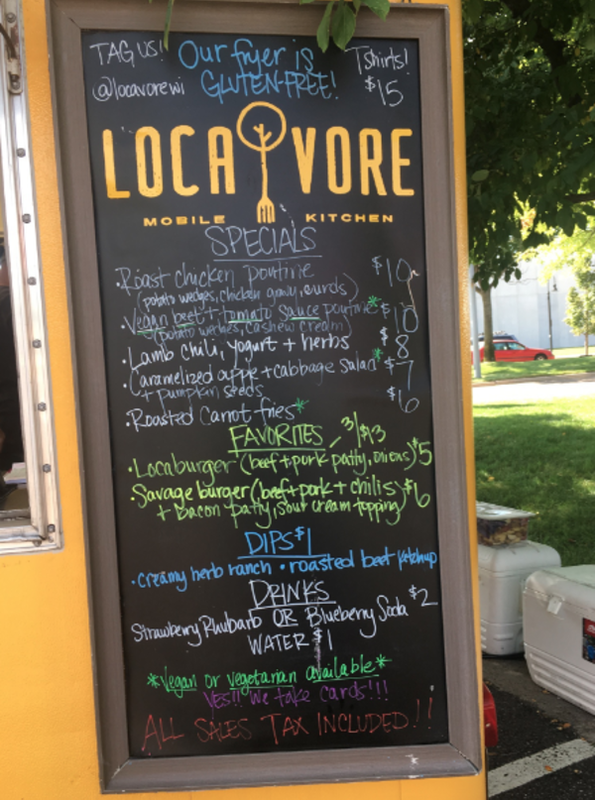 Vegetarians and vegans, as well as meat eaters, can get some locally sourced fare at the Locavore Mobile Kitchen. People with a sweet tooth won&apos;t want to miss the Ramone&apos;s Ice Cream Parlor truck. Coffee lovers can get some great java and baked goods at the EC/DC Coffee cart. If you love Galloway Grill, get some of their signature burgers and appetizers on the go. Finally, if you want hip-hop themed eats, head over to SmokeStream. If you feel like trying a little of everything, mark your calendars for Food Truck Friday. Started this year; the event runs through the first week of October. The first Friday of every month, food trucks of all kinds are set up in the railroad parking lot near Galloway Grill. It&apos;s a great way to enjoy the growing food truck scene. Make sure to snap photos of your favorite meals and share them with us using #CaptureEC.